Universidade NOVA de Lisboa is granting the Honoris Causa Doctorate title to Juan Manuel Santos Calderón, the President of the Republic of Colombia. The ceremony will take place on November 13, at 3 pm, in the Rectorate’s Auditorium, in Campolide Campus and will have the presence of the President of the Portuguese Republic, Marcelo Rebelo de Sousa. The compliment to the awardee will be given by Professor António Rendas, former rector of NOVA. 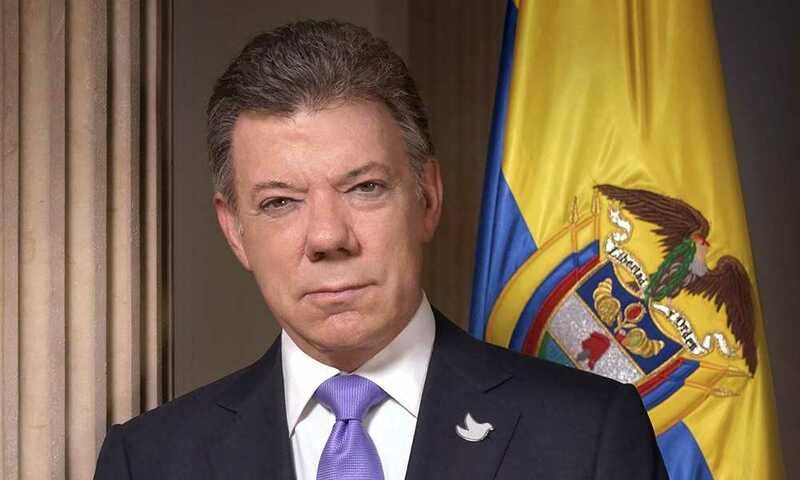 Juan Manuel Santos Calderón studied Economics and Business Management at The University of Kansas and did post-graduation courses at the London School of Economics and Political Science and Harvard University. Before being elected President of Colombia, he was the Minister of Foreign Trade, Minister of Finance and Public Credit and Minister of Defense in Colombia. He also created the Buen Gobierno Foundation and founded Partido de la U in 2005. He received the King of Spain Prize and was President of the Freedom of Expression Commission for the Inter American Press Association. For his persistance and efforts to achieve a peace agreement with FARC and to call on Colombia’s reconciliation, he was distinguished in 2016 with Nobel Peace Prize.